This watch is great. It makes a bit of a racket, it ticks quite loudly, but this in itself is really charming. The seconds hand is the little white / gold part you can see in the photos below – this rotates in a wonderfully unique way – you have to see it! The watch keeps good time, is a real eye opener and comes on, what I believe to be, the original strap. A stretchy ‘accordiony’ style strap – which is great cause it fits anyone. 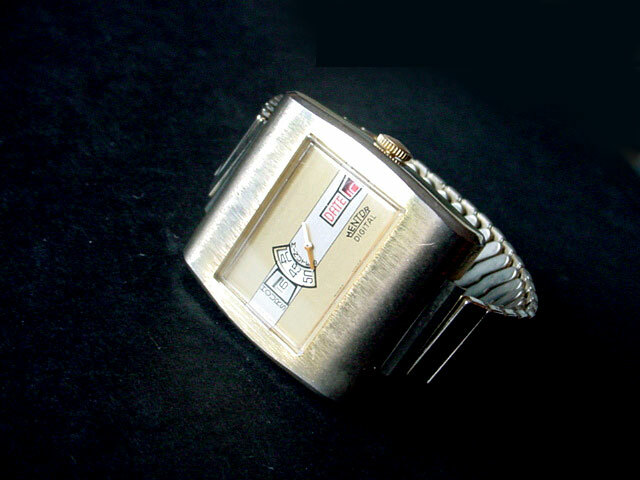 This watch has a brand new glass on the front; keeps time in 24 hour fashion, i.e. 0000-2400; the colour of the watch is fading a little at the sides, but it doesn’t really detract from the unique style of this watch. 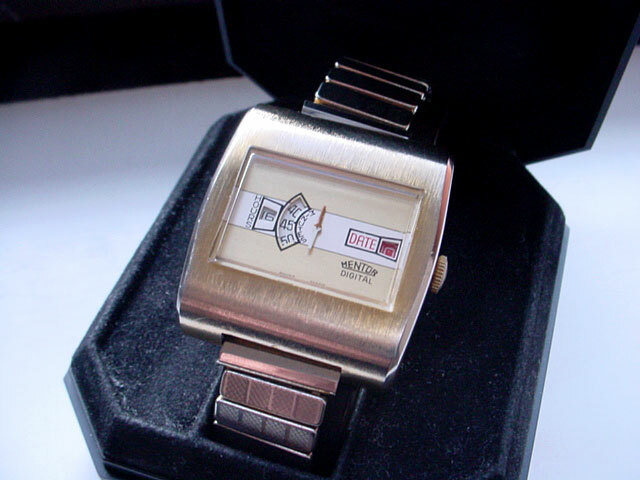 This is a suberb hunk of 1970’s watch and is a real collector’s item! A very unique watch which you could build an outfit around, at an excellent price! 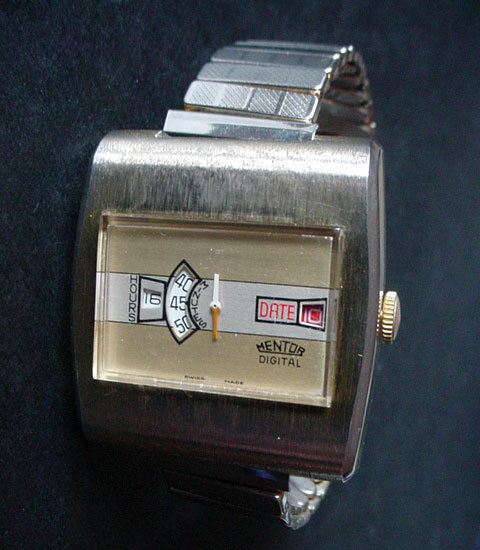 Awesome watch – Do you still have it? 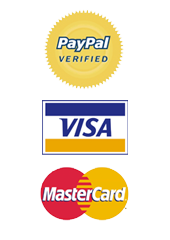 How much in U.S. dollars?